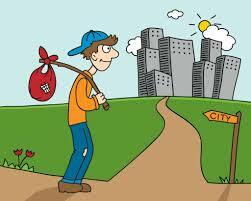 The travel bug seems s to have bitten a large populace of people who look for new places at the onset of vacation time. In India, people from different regions chose different times for going out. Summer and Winter school/college vacations are the most popular time but in the Eastern part of India, Durga Puja is also the time when people look for green pastures away from their homes. In the childhood, it was mostly the grandparents or the relatives places that were sought after destination and for those slightly better off economically, hill stations and places of pilgrimage were high on the travel agenda. With the nuclear families and lesser commitments and greater disposable incomes, all this changed forever. In most of the middle-class families, traveling has become a ritual at least once in a year. 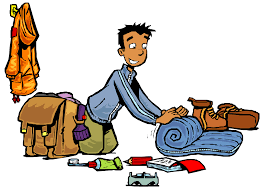 This post is not about traveling but more regarding the preparation that takes place before a trip. The last minute changes and surprises are not uncommon. I have known practically no one who goes on a holiday without prior preparation, more so when early bookings not only reduce the stress but end up in good bargains especially if one is flying and in hotel tariffs. After many years of traveling, trekking and solo trips, the trip with a toddler and later a grown up child, the requirements kept changing. So also the things that needed to be packed kept differing. As a bachelor or while traveling single, the packing was a more carefree affair and the only mishaps that happened were forgetting to pack a toothpaste or a shaving kit and sometimes packing a knife in handbags that led to their seizure at airport security. Once, a brand new skipping rope accidentally packed in handbag led to a prolonged interrogation as the security guy suspected, I may strangle someone on board. No amount of persuasion helped and eventually, led to the confiscation of the item. One learns a new lesson every time one travels! While traveling with family, there was galore of oversights, and incidents related to bad packing. The cookies invariably were crushed, the sandwiches squished beyond recognition, water bottles leaked in wrong places. The worst was breaking the thermos flask containing little daughter’s milk while boarding a bus at almost the end of the trip. The incidents would outnumber the humorous narratives of Jerome K Jerome’s classic’ Three Men in a Boat’. To capture some of these stories of bumbling and goofing up beside meeting new people, eating different foods, landing in sticky situations and much more, I decided to start an exclusive travel blog, which has already four posts now. For those of you who have extended a wholehearted support to my existing old blog, the new link is http://rahulbhatia20.wixsite.com/rahulstravelblog. I plan to take my readers to new places in each of the stories with some unique experiences, mostly happy ones and sometimes hilarious and funny and seldom sad. The old blog will still be alive and kicking and will continue to breathe on the support of all my lovely readers. Great new blog Rahul ji. 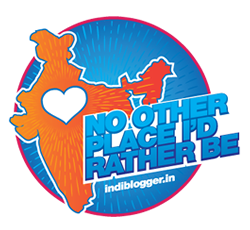 I hope that for the sake of my budget, you will write about trips in India as well. Cheers for the new blog. What you said is right...we learn new new things during every trip. Until my children finished school, our summer holidays were spent mostly in my grand mother's place. After that everything changed. I haven't seen India properly but have visited London and the US twice:) Son is there! Now, have started visiting our own India one place at a time and enjoying. Will check out your new blog and follow :-) Happy 2017 to you!